Salt Lake City: beer and cocktail capital? Ty Burrell of Modern Family is determined to make it one—with Brat Reubens by chef Viet Pham. Salt Lake City is famous for many things: Mormonism, the 2002 Winter Olympics, a strange obsession with Jell-O (an official state snack of Utah!). It's safe to say that few people associate the city with a great beer-and-cocktail scene. But now, two of its most famous residents are creating a fun new nightlife vibe. 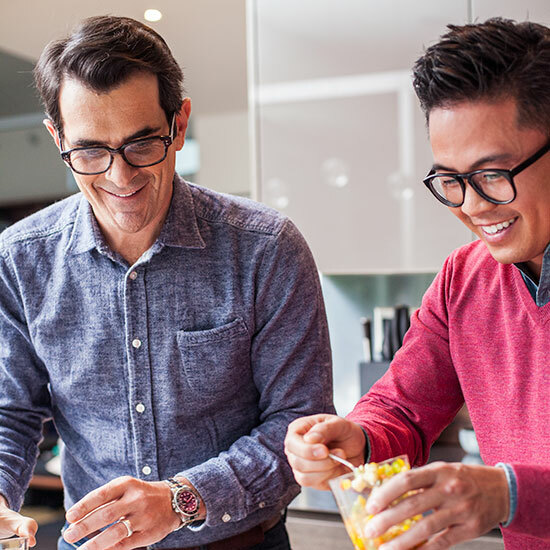 One is actor Ty Burrell, who plays the goofy dad on Modern Family; the other is Viet Pham, the natty cook who earned the F&W Best New Chef 2011 title at Forage for elegant, precise American dishes like an eggshell filled with soft-scrambled eggs topped with sherry cream. Members of a mutual admiration society, they're collaborating on a new place, called Beer Bar, with Burrell as co-owner and Pham as consulting chef. The men first met when Burrell came to eat at Forage. "It was one of the best meals I've ever had," Burrell recalls, citing Pham's incredible finesse and "food mind." Pham remembers the servers going crazy that the Modern Family star was in the restaurant. "But I said, who the hell is Ty Burrell? Chefs don't have time to watch TV." Pham, however, was a fan of another bar Burrell co-owns, Bar-X, which opened in 1933—the year Prohibition was repealed. Burrell, his brother, his wife's cousin and his wife's other cousin's husband ("I know, it sounds very Big Love," Ty says) had restored the sketchy bar with the big neon sign, transforming it into an unpretentious hangout with craft cocktails on par with the best of Los Angeles and New York City. "Those bartenders might spend as long as seven minutes making one drink," Pham says. "You can really see the passion and the love." Beer Bar, launching right next door to Bar-X, is all about artisanal sausage and craft beer, with inventive beer cocktails by a Bar-X team led by Richard Noel and Duncan Burrell ("We're possibly related," Ty jokes). Ty and Viet recently got together to taste-test some of those beer cocktails; Pham made a few of his favorite dishes, too, like the over-the-top Brat Reubens he created for Beer Bar. The sandwich, stuffed with locally made bratwurst, pastrami and Swiss cheese and topped with Thousand Island dressing and pickled vegetables, was excellent with the Low Approach, a cocktail spiked with India Pale Ale that happens to be relatively low in alcohol. The two men rigorously evaluated that drink. "The good news is you can have three or four of them and still be fine," Pham reports.